A curriculum vitae (CV) is a fundamental document for any person who approaches a new job or training opportunity. It summarises personal details, experience, skills and education. There are different styles and traditions which vary form country to country. To overcome cultural gaps and sustain mobility, the EU has developed a standardised form which is part of Europass, a set of documents which should be filled by European applicants who are addressing schools, institutions or private employers. Even though Europass is becoming more and more popular, there are occasions on which it should be replaced by a more personalised CV. Here are some video that will be useful to get some advice on how to make your CV more effective and impressive for your future employer. Watch and enjoy the videos then do the activities below which will simplify the work we are going to do in class: writing your CV. 4 challenge n. a difficult or demanding task that needs special effort – challenging adj. 7 education n. training and instruction at school, university etc – to educate v.
8 experience n. jobs held, including dates, posts etc; work history – professional experience n.
10 graphology n. study of handwriting as a guide to the character of the writer – graphologist n.
What are common points and differences among the three videos? Which one did you like best? Why? Which was easier to follow? Can you guess why? 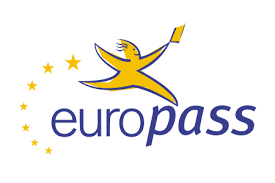 What documents form the Europass. In what do they differ? What piece of advice did you find quite unexpected or unusual?